1973 was a pretty big year for me. I mean, it was the year I was born, so it doesn’t really get much bigger than that. It also means that I turned 27 in 2013. The cars, on the other hand, just had their 40th birthdays. 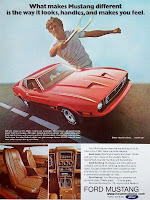 So to celebrate that milestone, I decided to look back at the automotive class of ’73. It isn’t a year that gets much attention enthusiast-wise, but there was quite a bit happening during this time in history. 1973 marked major changes to automotive crashworthiness, emissions, and fuel consumption. From a styling and performance standpoint, things would never be the same. One of the big changes that you see on most cars built this year is that the front bumpers were bigger. That’s because the government mandated five-mile-per-hour front bumpers in 1973. Gone were the thin chrome strips that were as much for decoration as they were for protection. Now, bumpers were mounted on shocks that allowed them to spring back to their original form after a light collision. This carried over to the rear a year later (that’s right—I said “rear a year”). You also saw fewer pillarless hardtops coming out of design studios. 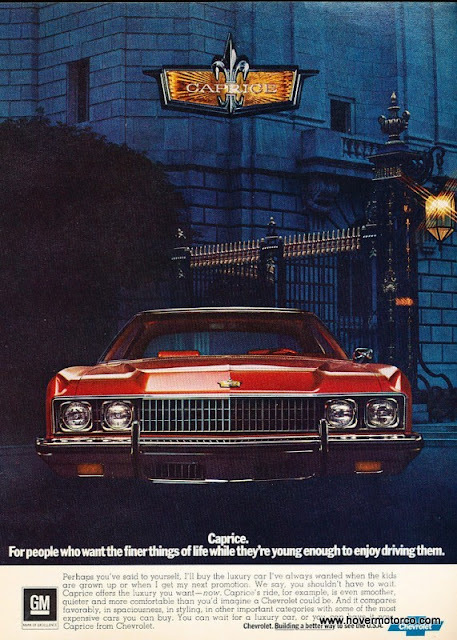 The same mentality that nearly eliminated convertibles in the ‘70s also changed closed-top rooflines. That’s why you see things like GM’s Colonnade style on their intermediate offerings. Automakers were worried that future designs needed to meet stricter federal roll-over standards. Some of that never happened, but it still had an impact on styling. My first car was a '74 Buick Century coupe, so I'll always have a soft spot for this style of car. Air pollution really became an issue by this time. Why are there more high-horsepower ’72 cars than ‘73s? This is a big reason. Many of the same big cubic-inch V8s were still available, but they were literally choked of their power by smog and emissions equipment. Vacuum lines and smog canisters became the order of the day. The hardware was still there, it was just hidden beneath all this other stuff. At least we were still a year away from catalytic converters and the demise of free-flowing exhaust. Some of the reduced horsepower and devices intended to save fuel were in response to the fuel crisis of the early 1970s. Gasoline was in high demand, and there were both real and imagined shortages all over the world. As oil production peaked, prices went crazy. Then in late 1973, the Organization of Arab Petroleum Exporting Countries hit the U.S. with an oil embargo because they didn’t like it that we provided oil to Israel during the Yom Kippur War. That’s where you get those old pictures of people lined up as gas stations for miles. That embargo lasted from October of ’73 to March of ’74. 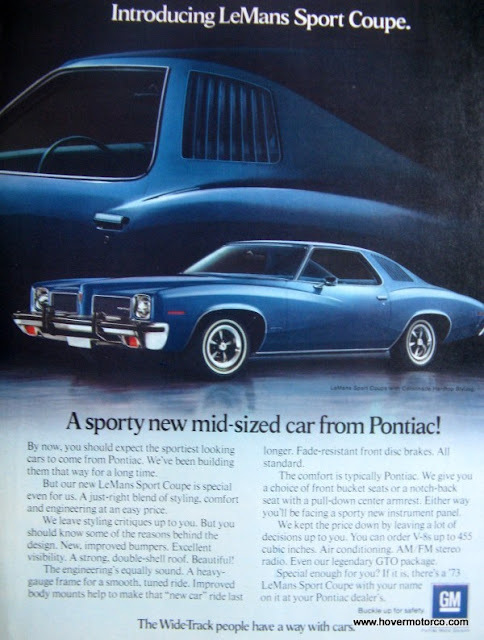 All that aside, I have always liked those big, plush ‘70s cars. And 1973 was the best of the era. Look at some of the nameplates that share my birthday: The Pontiac Grand Am; the Buick Regal; the Chevrolet Laguna. 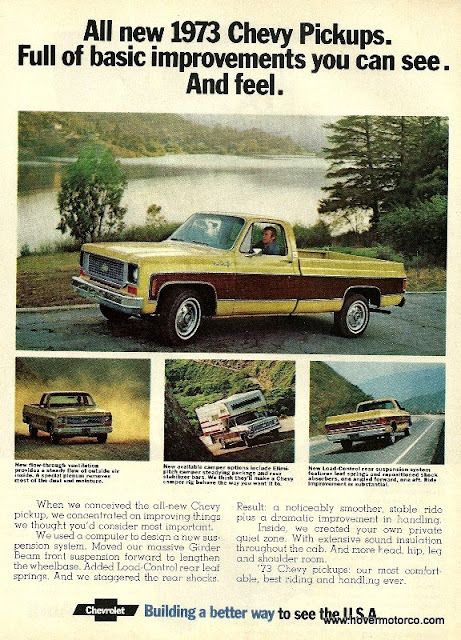 It was also the year that Chevrolet’s all-new pickup went into production. And that baby stayed on the market until 1987. Japanese cars were out there, but they hadn't taken over. And a rear-wheel-drive V8 car was still the norm, not the exception. 1973 debuted the first urethane bumper covers on the front of the Corvette. It was the second-to-last year of the pony car-style Plymouth ‘Cuda. And it was the last year you could get a “real” Mustang for awhile. 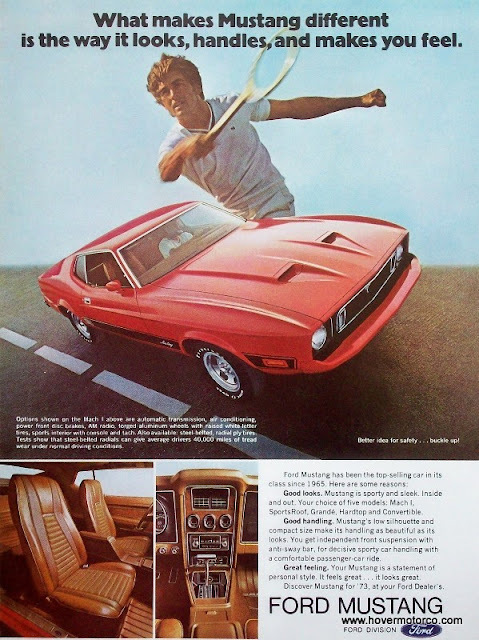 I went ahead and collected a bunch of car magazine ads from 1973 so there could be a slideshow connected with this. I actually enjoy looking at them. The world was a soothing shade of avocado green, and the finest music emanated from a clanking 8-track player. Check them out below, or click this link for a better version. Great retrospective of a mostly forgotten era. Kudos on your research and the advertising photos. 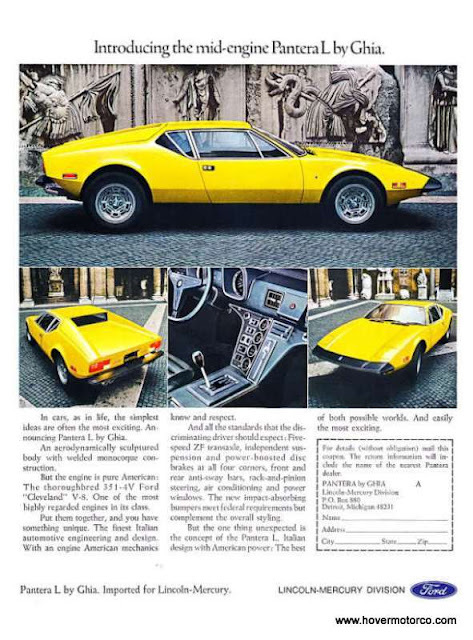 You found a few exotics to include - impressive ad find of a Lamborghini Miura. The Pantera L was a noisy brute (and a rust-prone shame), but a very fun car to drive. Geddes Road between Ann Arbor and Canton, MI back in the late 1970's in a Pantera was a blast - fairly remote for the day, smooth pavement, nice curves, little traffic, etc. I really enjoyed this read and the photos. I didn't know whether to laugh or vomit (or both!) over the Pinto ad, "The simple, basic Pinto - It hardly ever stays that way." Yep, nice bunch of customization on those beauties back in the day. *cough* The only car you could buy new with a latent flame paint job just waiting to happen. 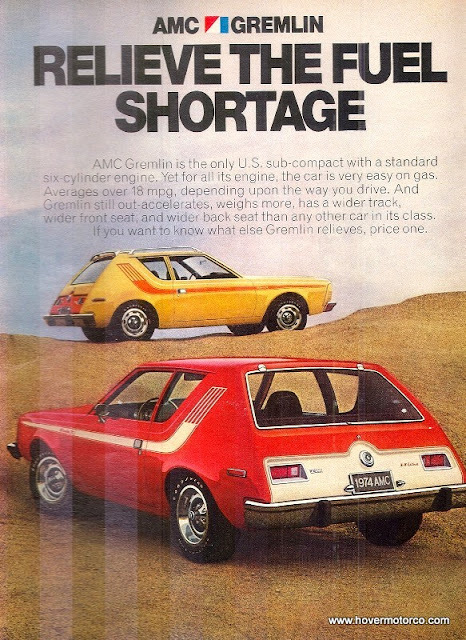 back of the Gremlin ?? Anyone remember the Plymouth Cricket? One of ugliest cars and most repair prone cars of this period. 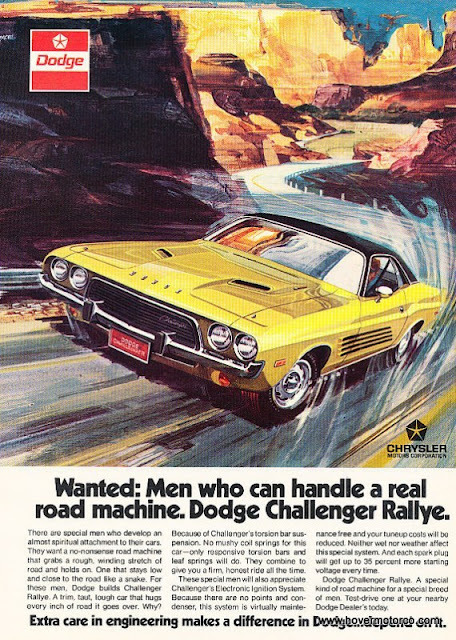 Dad was a mopar man and wanted a fuel efficent car (LOL). Enjoyed the ads very much. Don--I'll bet he's about the same age as he was in the picture plus about 40 years. I'll keep my eyes out, and if I see him, I'll let you know! Plymouth Cricket--I never even thought to look for that! Another trip down Memory Lane...Craig thank you. I always look for your posts on G+ and when I get here I stay for hours to browse. 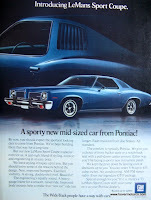 Do not know if I ever told you but from 1966-1972 I was the District Manager for Pontiac Motor Div. in the northern half of the state of Kansas. That's neat. I'm familiar with that job a bit since my dad did it with Chevy for so many years. Thanks for stopping by--and good luck on the new blog! Since I have a son in Junction City in the restoration business and many older car dealer friends around your area, I must someday pay you a visit. We have commonality of interests. Just beginning to organize my 50 years of model car collecting. Model kits,promos,diecast to numerous to mention. My wife would no doubt make you a package deal that you could not refuse..LOL!